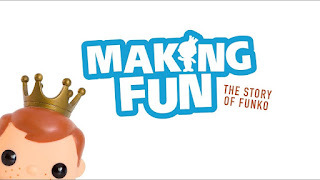 The Newest Rant: Film and Funko Friday: "Making Fun--The Story of Funko"
Film and Funko Friday: "Making Fun--The Story of Funko"
I am of course a fan of movies and love a good documentary. I also enjoy Funko Pops a bunch. Therefore, when I heard the documentary, "Making Fun--The Story of Funko," would be coming to Netflix on May 24th, 2018, I was excited! Having now watched it I can say it is a great film that interestingly doesn't so much make an argument for being a fan of Funko Pops as it does the general joys of fandom. 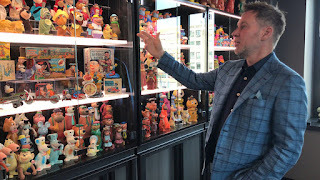 About the first 30 minutes of its approximate hour-and-a-half running-time get spent detailing how the founders of Funko got the idea for the company, its bobble-head products (AKA, "Wacky Wobblers,"), and the eventual creation of the now massively-popular, "Pop," vinyl figures. After that however it segues more-so into talking with a range of fans from famous people to everyday folk who enjoy Funko products. An over-arching theme of community, nostalgia, and a love of fun is often discussed. 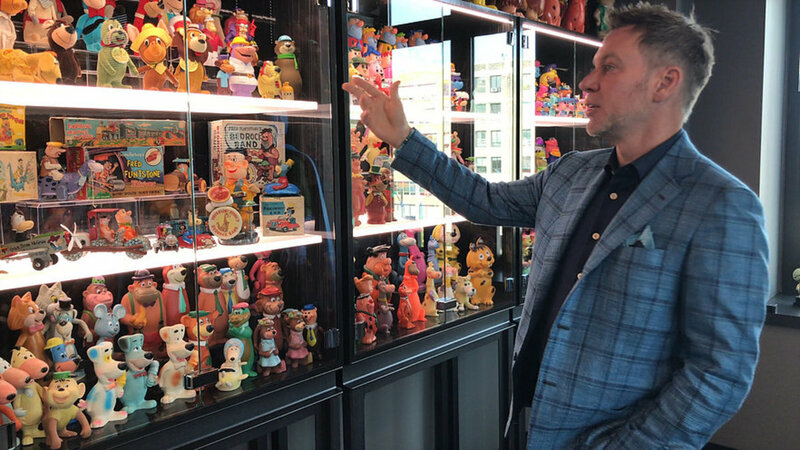 I quite enjoyed the movie but actually was most intrigued by the first third with its nuts-and-bolts of how Funko came about. I actually would have loved to learn even more about the intricacies of the company, how it actually acquired the various popular licenses they have, and stuff of that nature which might have bored other viewers but fascinates me as someone who enjoys learning about the minutiae of my hobbies. That said, seeing the diversity of Funko fans, hearing folk talk about the joys of collecting, and witnessing such a cool community is a real treat and for sure warms even a heart as bitter and cynical as mine--like during a scene towards the end where two fans of Funko get married and as the person officiating talks about love the movie re-visits clips of the, "Funatics," we've met during the flick. It's a delightful movie and one anybody who enjoys a collecting-based hobby will find cool, whether they like Funko products or anything else!